In the "swimwear world", the hottest bikini brands can be quite pricey. 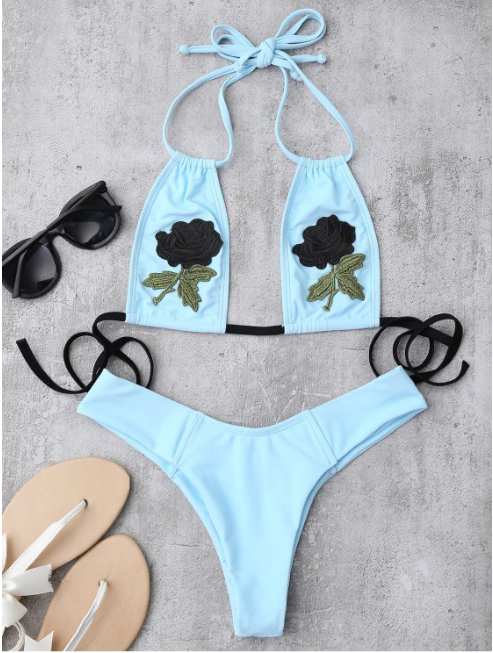 Let's face it, not all of us have ridiculous amounts of cash to just drop on bikinis...I mean if I am going on a 7 day beach resort vacation, I need a new bikini look for everyday, imagine how costly that would be if I dropped on average, 150$ per swimsuit? Luckily, there are sites like Zaful that come into play. Why not? If you only plan to wear it once during your trip, than there is no need to break the bank. Check out these knock offs, I found on Zaful.